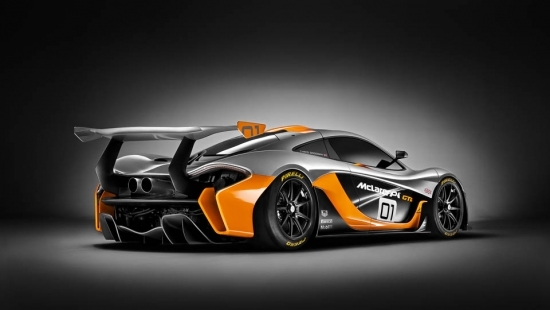 It may have took two decades, but McLaren has just unveiled the design concept for the successor to the McLaren F1 GTR at a private function at the Pebble Beach Concours event. 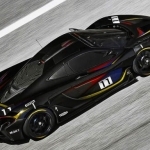 Meet the McLaren P1 GTR. The goal of the McLaren P1 GTR is crystal clear: to be the best driver’s car in the world on track. 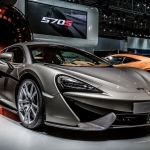 The key to that goal is “on track” as McLaren is not constrained by any pesky federal legislations for road legality, or silly bumper laws, emissions standards, etc etc. Compared to the road going P1, the front track has been increased by 80mm. 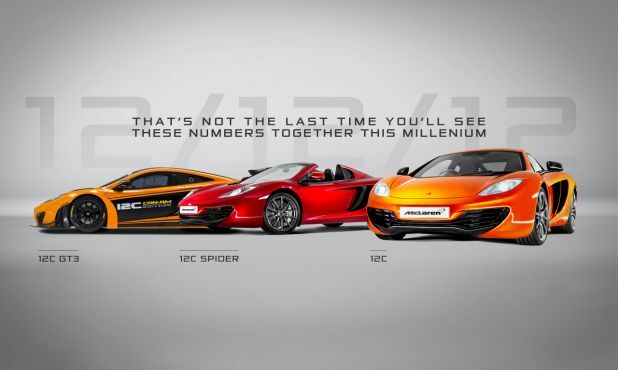 The P1 GTR ride height is fixed, lower than the standard car and rides on a race-prepared suspension system. The mirrors have been relocated to reduce drag and be closer to the eye line of the driver. The P1 GTR rides on a set of 19″ wheels, 10.5″ wide up front and 13″ out back wrapped in a set of racing slicks and are secured with quick-release centre locking nuts. 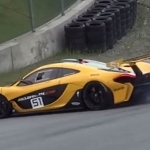 Changing tires on the P1 GTR will be made easier with the onboard air jacking system, like the one seen on the McLaren 650S GT3. Out back sits a large fixed height wing featuring a hydraulically operated drag reduction system (DRS) derived from Formula 1. When DRS is not active, the wing provides even more downforce compared to the road car and since the wing does not retract, all the moving parts and pistons are removed from within the body work resulting in cleaner air flow below the wing and over the back of the car. A titanium and inconel alloy exhaust system, developed exclusively for the P1 GTR is centrally mounted and exposed allowing the specially tuned 3.8L twin-turbo V8 to breathe a bit better. The V8 engine and electrical motor now pumps out a combined 986 horsepower! 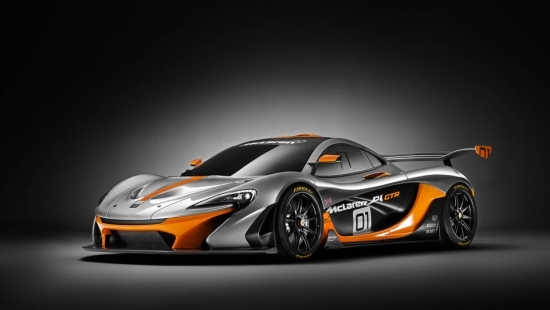 McLaren also provided more details of the McLaren P1 GTR driver program, an exclusive ownership club which will include specialist driver training, human performance and access to the McLaren racing simulator, and which is designed to prepare each driver mentally and physically to fully exploit the abilities of the McLaren P1 GTR. Today is the last time we will see 12/12/12? Wrong!